The first time I came to London I could not forget how I felt about it. It just somehow speaks my language, food! Apart from the trendy and colorful fashion, one thing for sure that London is not lacking of is, the wide ranges of fashionable international cuisines restaurants, homey cafés, pressed juices to authentic Turkish kebabs (as confirmed by a Turkish friend of mine). First thing first, I really want to talk about how most of the well-known restaurants in London work. Reservation is a MUST. Walk-in is rather risky as many people do their reservations about 3 weeks or even months for restaurants like The Ledbury or Duck and Waffle! Insane.. Anyway, this time I want to review a restaurant with amazing view of River Thames, OXO Brasserie. I went for lunch with my parents who came to visit me. 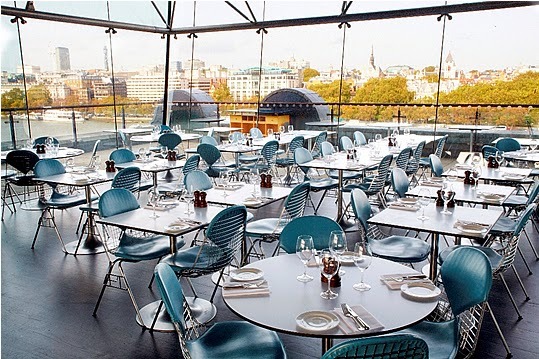 The restaurant itself is located in OXO Tower, an old artsy building on the south bank of Thames. This is my second time eating here. I got the (1) Roasted squash with broccoli and ricotta cheese (2) Black peppered tuna with garlic pomodoro (3) Roasted cod with black rice risotto, brown shrimp butter sauce and braised fennel. OXO Brasserie's atmosphere is casual, perhaps because it is a "brasserie". It is a place where you will want to take your friends, girlfriend, boyfriend, parents for catch up sessions or simple romantic dining. Perfectly fine. Although during weekdays lunch time I noticed most of the guests are business people in suits and ties enjoying their lunch time. 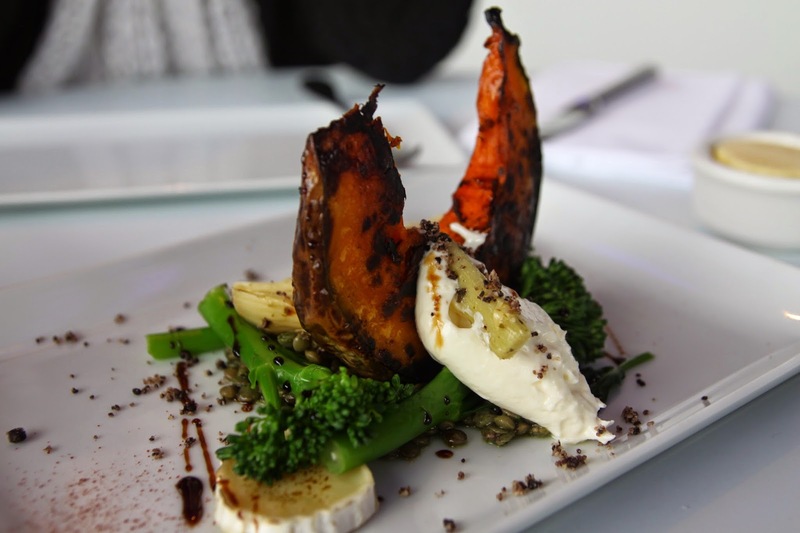 Food wise, the menu is pretty intriguing, seasonal and offer many varieties. 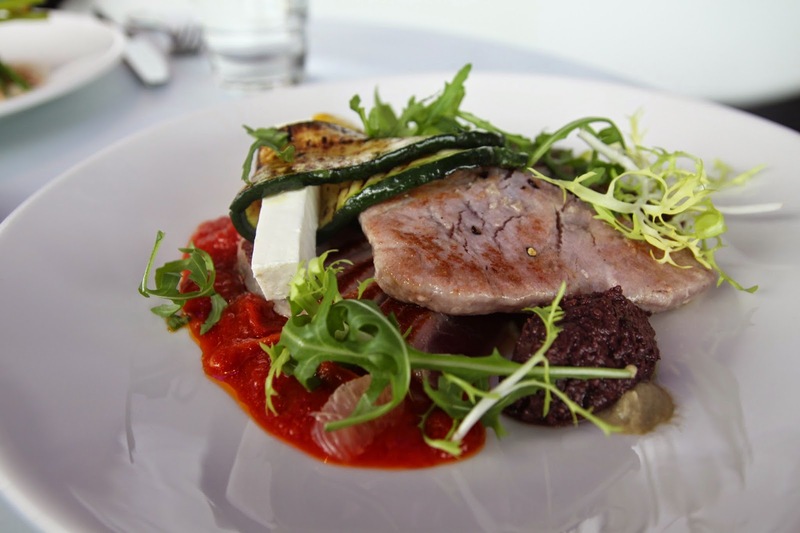 As per price, it is pretty standard or even considered affordable for London's exaggerating price, £29.50 for three course lunch set menu with the view. Overall, try it once. 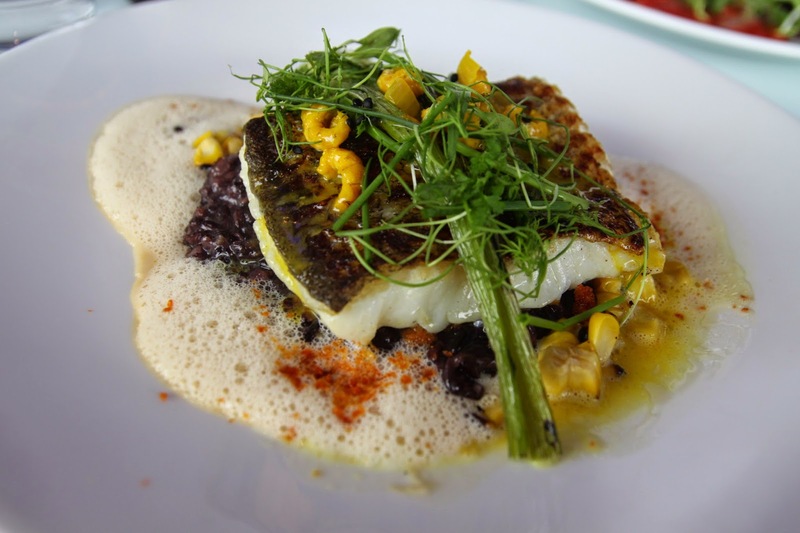 It can be a restaurant where you visit often or take out-of-town guests to show what London is all about. p.s: all pictures are mine except for the last one.